Using keyboard actions to trigger certain functions, launch applications, or navigate between windows can help you improve your productivity level. 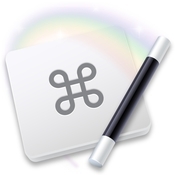 Keyboard Maestro is a Mac app that enables you to set up various Macro shortcuts according to your own needs. For your convenience, Keyboard Maestro puts together multiple workflow oriented tools. This way, you can use the app to control the content stored on your clipboard: Keyboard Maestro maintains a clipboard history and even allows you to toggle between multiple named clipboards. In addition, you can use Keyboard Maestro to quickly navigate between applications and their windows. Usually, these tools come as separate apps, but Keyboard Maestro offers them on top of the Macro capabilities in order to provide a poilished productivity tool. When you create a new Macro within Keyboard Maestro, you must assign it to a group, give it a name, and designate a trigger: it can be a script (AppleScript, Shell, Perl, Python, or Ruby), or you can select one of those included by default (hotkey, typed string, application, login, engine launch, system wake, time, while logged, macro palette, status menu, public web, mounted volume, USB device, Wireless Network, device, or MIDI). Naturally, the next step is to assign an action to your Macro: Keyboard Maestro provides a plethora of possible actions that can be launched and you can add as many as you like and combine them any way you see fit. On the whole, the Keyboard Maestro app provides you with the tools needed to automate certain processes in order to help you deal with repetitive tasks easier. At the same time, the fact that you can manage your clipboard history, define named pasteboards, and use the Keyboard Maestro functions to quickly switch between windows and apps eliminates the need to install additional productivity enhancing apps. Fix for Mojave to ensure macros work immediately after enabling Accessibility permissions.